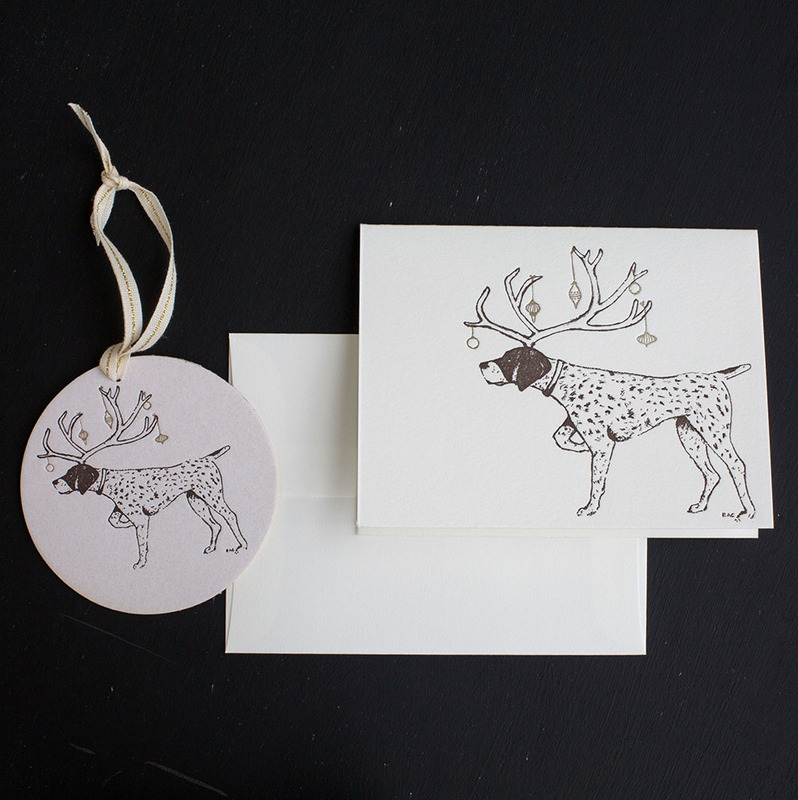 Our Pointer is ready for the Holiday Hunt, sporting a full rack of antlers adorned with festive ornaments. This letterpress greeting card has a little some extra, just when you need it. Created from original artwork commissioned for Ancesserie, each piece is letterpress printed in Early Gold and Autumn Brown inks. 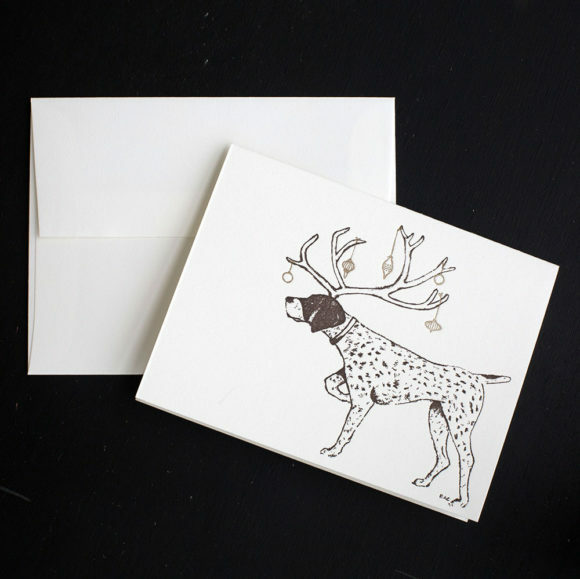 Standard 4.25″ x 5.5″ folded card made from luxurious, 100% cotton paper with matching, pearl white, square flap envelope. Blank on the inside. 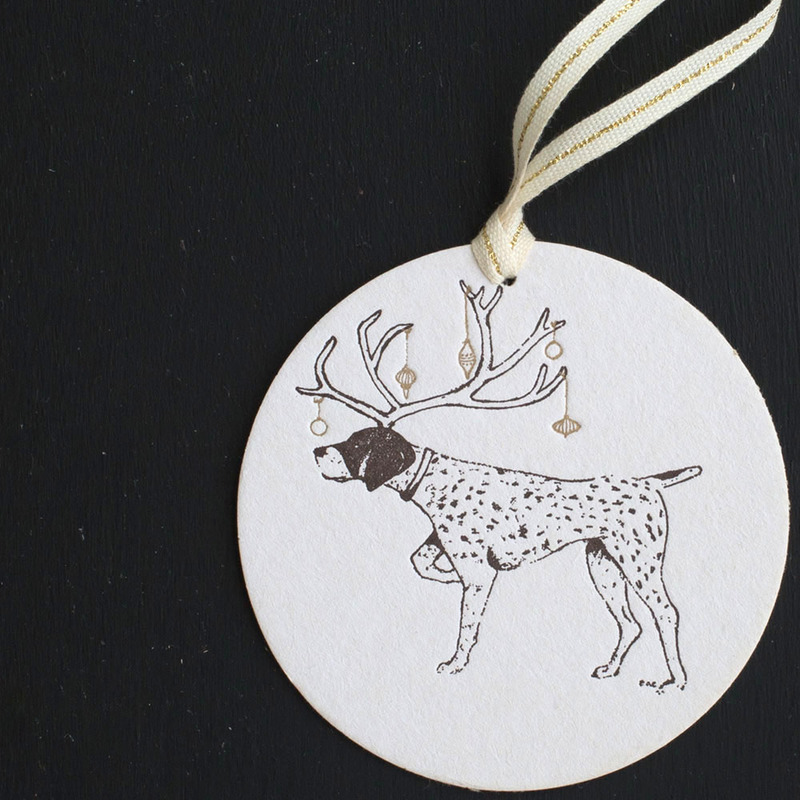 3.5″ round ornament with accompanying Italian, cotton ribbon threaded with gold. The perfect Holiday surcie!